Take the King Cake to another form when you make POPCORN. 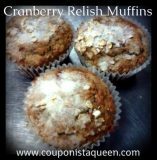 Great snack for the parades, parties, and general “laissez les bon temps rouler” attitude that embodies the Mardi Gras fun and festivities. 1. Line a baking sheet with parchment paper. Lay the popcorn on the baking sheet, in a single layer and set aside. 2. In a microwave safe bowl, add the green chocolate melts. Microwave for 45 seconds. Remove from the microwave and stir until melted and smooth. 3. Drizzle the melted green chocolate on top of the popcorn. Before the chocolate hardens, drizzle the light green jimmies on top of the green chocolate. 4. Add the yellow chocolate melts to a microwave safe bowl and microwave for 45 seconds. Stir until completely melted and smooth. Drizzle on top of the popcorn. Before the chocolate hardens, sprinkle the dark green jimmies on top of the yellow chocolate. 5. 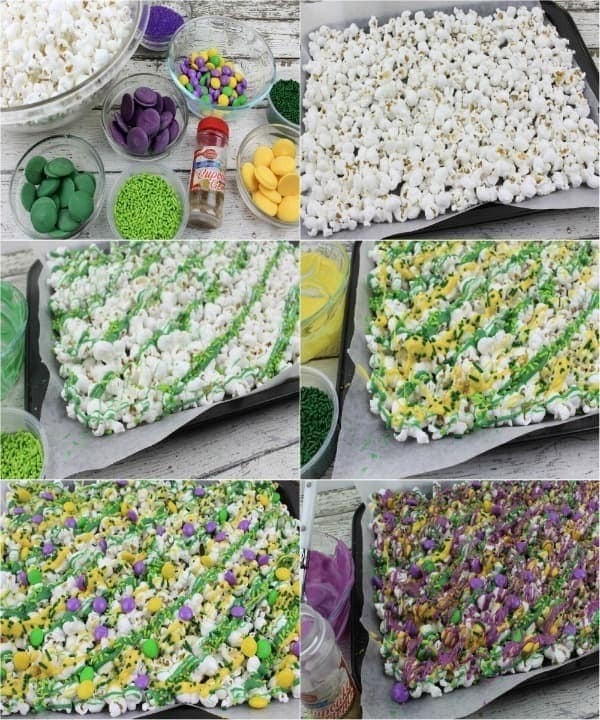 Sprinkle the green, yellow and purple M&M’s on top of the popcorn. (I took the green and yellow ones from a regular bag of M&Ms. I purchased the purple ones at a party supply store). 6. In a microwave safe bowl, add the lavender chocolate melts. Microwave for 45 seconds. Remove from the microwave and stir until melted and smooth. 7. Drizzle the melted lavender chocolate all over the popcorn. Before the chocolate hardens, drizzle the gold and purple sugar crystals on top. Tuck the King Cake Baby into the mix somewhere. 8. Place in the refrigerator and chill for 20 minutes to allow the chocolates to harden. 9. Remove from refrigerator and break up into pieces. Store in an airtight container for up to 1 month, but you might want to eat it before Lent starts in case you give up sweets, because this stuff will be tempting.